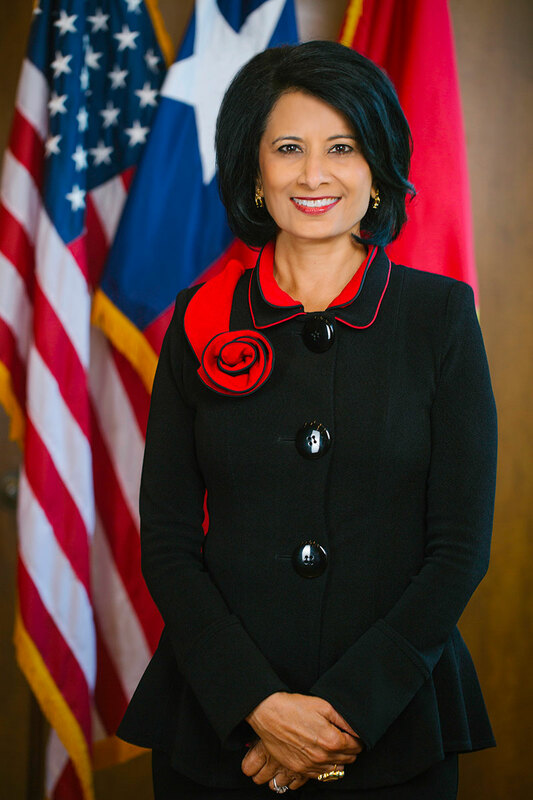 Renu Khator has recently celebrated her tenth anniversary as president of the University of Houston, having assumed her post as well as the UH System’s chancellorship in January 2008. UH, the largest and oldest of the four UH System universities, enrolls more than 46,000 students, offers 280 degree programs and awards nearly 10,000 degrees each year. During her tenure, UH has experienced record-breaking research funding, enrollment and private support, highlighted by the “Here, We Go” campaign which has raised more than $930 million toward its $1 billion goal. Born in Uttar Pradesh, India, she earned her bachelor’s degree at the University of Kanpur, and her master’s and Ph.D. degrees in political science and public administration from Purdue University. Prior to her appointment at UH, she was provost and senior vice president at the University of South Florida, capping a 22-year career at that institution. Her current and previous appointments include Chair of the Board of Directors of the American Athletic Conference, member of the U.S. Department of Homeland Security’s Academic Advisory Council, member of the Indian Prime Minister’s Empowered Expert Committee, Chair of the American Council on Education and of the Federal Reserve Bank of Dallas, and a Texas Women’s Hall of Fame inductee. Among the institutional accomplishments Khator is most proud of are the elevation of UH to Tier One status in 2011, being awarded a Phi Beta Kappa chapter in 2015, establishing a College of Medicine in 2018 and improving graduation rates 10 points in 10 years.